I am not always very sensible. I tend to DO rather than THINK. And then I wonder why things go horribly wrong, or I make a big mess in a place I shouldn’t be making a big mess in. Like my bathroom. Not the ideal place to be potting up some plants, but, hey, it was cold outside and, um, I was too lazy to drag everything out to my front porch. Mostly because it would mean putting clothes on (I was in my PJs, naturally). I had purchased some succulents the weekend before (not an unusual activity for me), mostly Kalanchoes, and I needed to pot them into something more suitable than the small nursery pots they were in. The previous week I had attended a swap meet with my sister-in-law and had found a lovely, white ceramic pot for $4.00 (bargain!). 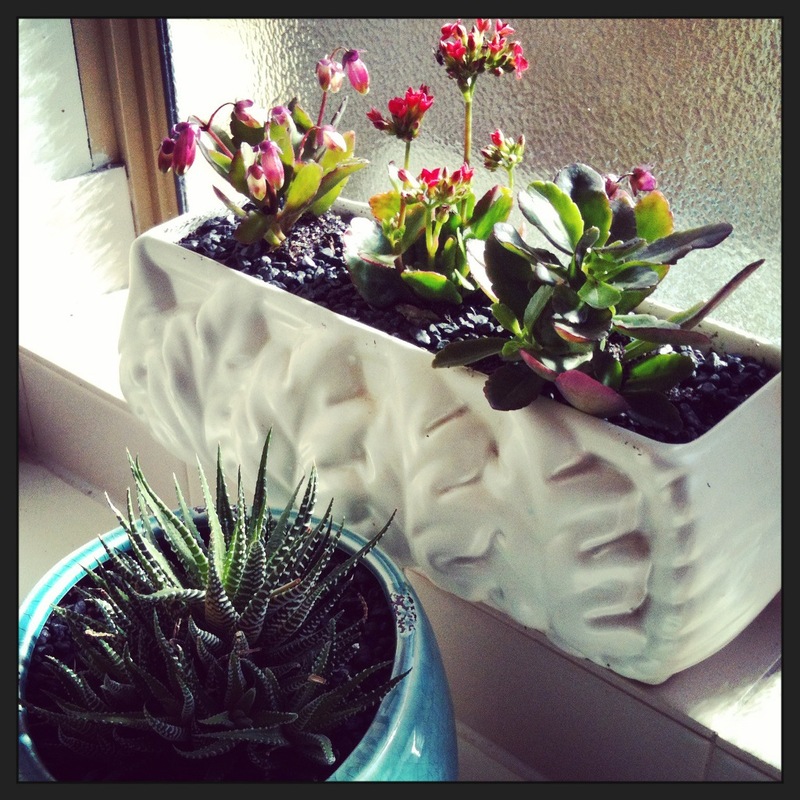 It was crying out for some cute little plants so it was just perfect for the Kalanchoes. 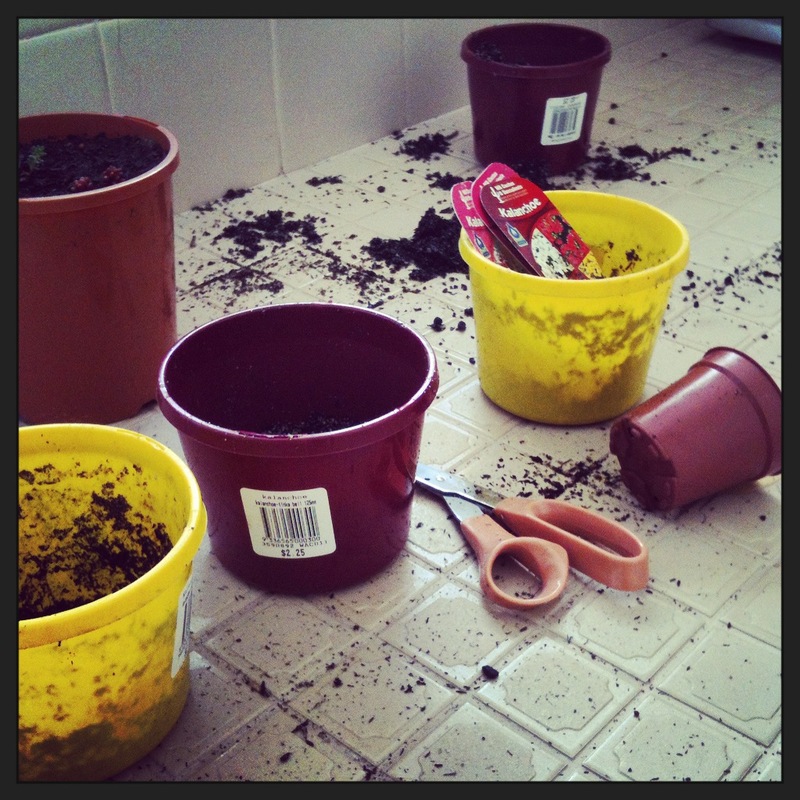 I made a delightful mess in the bathroom – potting mix everywhere, pots chucked willy-nilly all over the floor – you get the picture. But I really liked the plants in the white pot – it looks classy ha ha. My bathroom is enormous – really a ridiculous amount of room for one person. But I’m not complaining – I have a pile of stuff that I am able to find room for in there. It also has a nice sunny window space that is ideal for plants. They grow happily there, without getting too hot, but with plenty of light, and humidity from the bathroom itself. 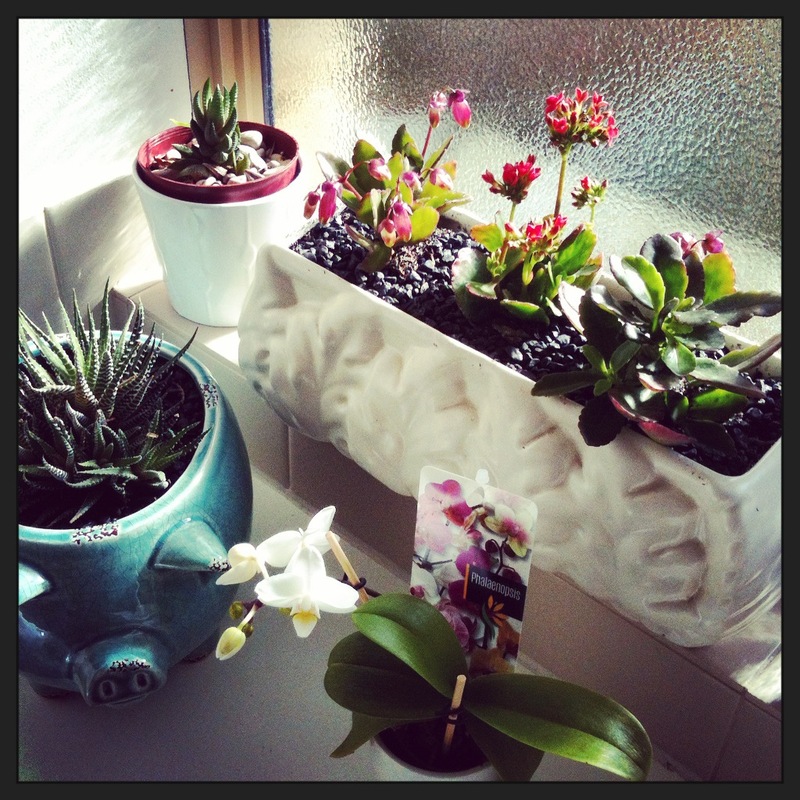 So, I arranged the newly-potted Kalanchoes next to my existing Haworthias and my precious orchid, which is flowering beautifully, bless it (even more so now after writing this post – it’s got six blooms on its little stem) and made quite a nice display by the window. What do you think? I love having plants in the house and I am very pleased with how these look together. I will have to stop myself from putting any more in there. The bath tub never gets used…maybe I could just make it in to one giant pot! I’m sure my landlord would love that idea…not!